Ayahuasca, the psychedelic brew from the Amazon rainforest, is now being used (illegally) in North America for individual healing, consciousness exploration, or spirituality! As a result of her own personal experience, research scientist and psychotherapist Rachel Harris created the largest study to date of what happens following an ayahuasca ceremony — if people find lasting relief from depression and anxiety; if those with alcohol problems permanently stop drinking; if transcendent experiences with ayahuasca translate into a more spiritual life; and more. She’ll describe her findings, including miracle cures of depression and addiction, therapeutic breakthroughs, spiritual revelations, and challenging or bad trips. If you’re thinking about taking it, you’ll be able to make an informed decision. If you’ve experienced it, you’ll get creative ways to work therapeutically with your experiences. And she’ll offer insight to therapists who work with people after their ayahuasca journey. Sign up with your email address to receive weekly dispatches on dating, mating and relating. Maryanne Comaroto, Ph.D. is a relationship expert and dating coach with a private practice in the San Francisco Bay Area. She writes, teaches and hosts an internationally syndicated radio program about new approaches to relationships after 40. 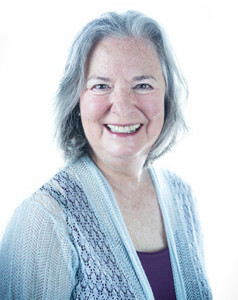 Maryanne also teaches Open Floor Movement classes that give people a safe, supportive space to deepen their connection to self, others, community and spirit.